I am a very character driven author. It is hard for me to pick my favorite character because they all mean so much to me. In my first novel, Echoes of Savanna, I introduce my readers to Savanna Taylor. 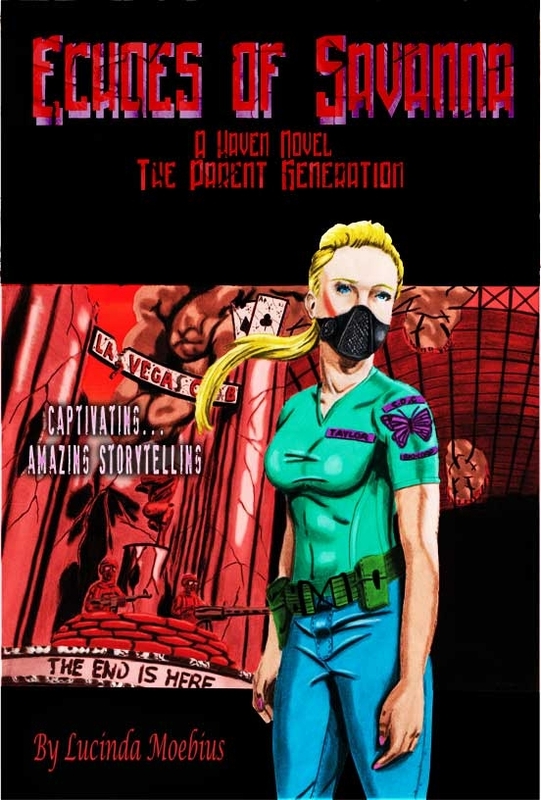 She is a young medical doctor who is thrown into the middle of a massive pandemic. I love Savanna’s sense of purpose and drive. She is much stronger and determined than I could ever be. When I started this series it was going to be a stand-alone novel about Raven, Savanna’s daughter. Raven is strong and impulsive, the complete polar opposite of her mother. 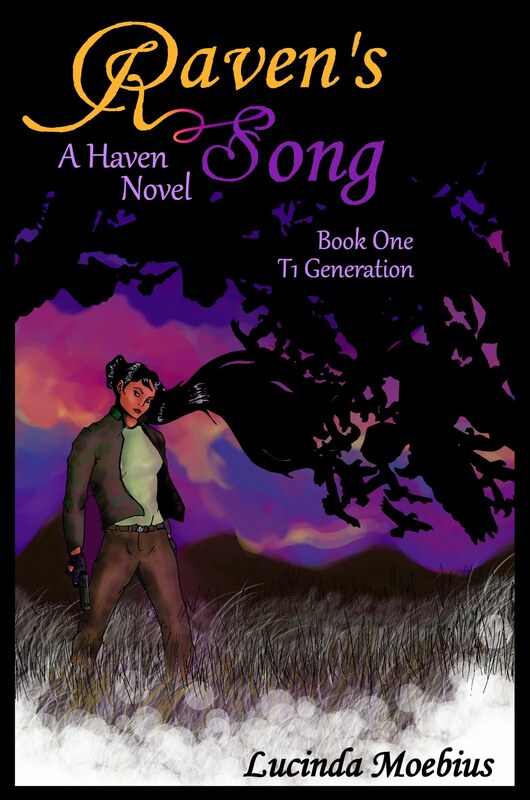 Raven’s Song follows this girl as she tries to live in a world torn apart by war. She has a strength and courage I respect and hope to emulate in my own life. The series follows this family through five generations and I’m sure I am going to love each character as their stories grow. I know how to solve a Rubik’s cube. This is a skill I just recently acquired. I never considered myself much of a logical/analytical thinker so I am pretty pleased I was able to accomplish this feat. In all seriousness though, I actually teach English in addition to writing novels. They say those who can do and those who can’t teach. I can actually do and I love to teach. There is nothing more rewarding in this world than seeing a student make connections with important concepts and ideas that will affect them for the rest of their lives. My writing is a great accomplishment, but my real rewards in life come from students who chase me down at Wal*mart, yelling my name and throwing their arms around me. Huckleberry Fin, Twilight: Breaking Dawn, The Great Gatsby, To Kill a Mockingbird and a number of articles and books on Education. I just can’t seem to read one book at a time. I can always tell who or what I am reading while I am writing. My own writing tends to pick up an undercurrent of the style of writing from the authors I am reading. Sometimes I will be struck by the author’s word choice or sentence structure, or I like the way they write dialogue. Sometimes I’m frustrated by the way they write and I want to make it better. Either way I can see their influence in my writing. I’m a very eclectic reader. You never know what genre or author I am reading at any given time. I’m just as likely to read a classic piece of literature as I am a modern author. You rarely find me without a book in close proximity. There are a few that brought me to tears. I don’t want to tell you too many details because I would have to give you a spoiler alert. Let’s just say my characters are very real to me. Since the premise of the series is based on The Hero’s Journey you know the characters are going to be facing some pretty horrific trials and painful experiences. I find my inspiration everywhere. As you can tell, I am a voracious reader. I have been since I was four years old. Books hold a sense of wonder and magic for me. As long as I can remember I have been a story-teller and I love sharing my work. Every experience I have in life finds its way into my writing. Needless to say, I relish life and everything it brings to me. A little of both. I know where my stories are headed and I know some of the events and sequences, but I like to let the stories speak to me. As I wrote Raven’s Song I realized the plot wasn’t lining up to fit the character’s growth and learning. I had to completely switch scenes around and ended up making the middle of the novel the climax. It was an interesting juxtaposition and it forced me to think outside of the box. It’s going to be interesting to see what happens in her son’s story. Will Smith. Savanna’s husband looks a lot like him. :) ‘nough said. My family. I know most of you are looking for some amazing author or teacher or civil leader you can all connect with, but my family is the driving force behind everything I do. The characters in my stories reflect many of their personalities and the events in the novels are based on things that happened to certain family members. My mother taught me to read and I used to go steal books off her bookshelf. By the time I was ten I was reading books way beyond my maturity level. My brothers and sisters inspire me and drive me to better myself and give unconditional love to everyone around me. My husband supports me in everything I do and I wouldn’t be able to write if it wasn’t for him. Most importantly, the children in my life influence me to do great things. My stepson, nieces, nephews and the children of friends, who are as important to me as those who share my family name, show me how I should live my life. Lucinda Moebius grew up in the mountains of Idaho and Eastern Oregon. Her mother taught her to read when she was four years old and since that time, books have been her constant companions. She has a Bachelors Degree in English Teaching, a Masters in Educational Leadership and is currently pursuing a Doctorate in Education. Lucinda supports her writing habit by teaching High School and College. 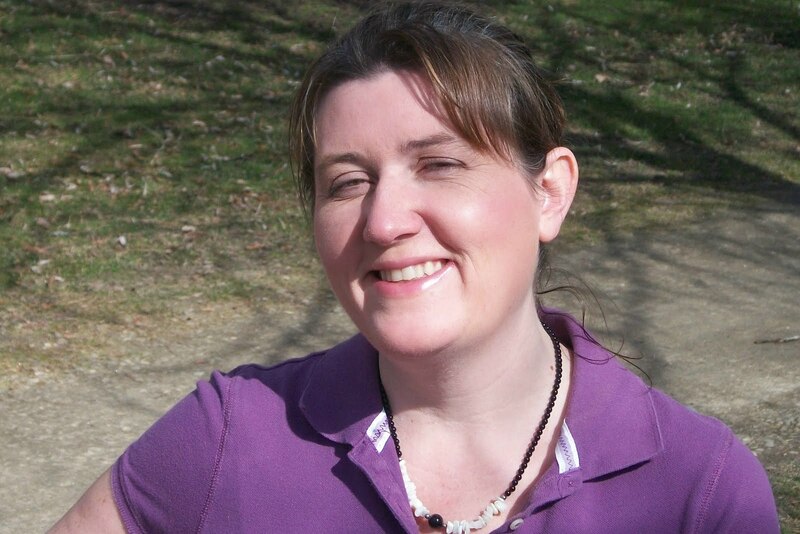 She currently lives in Boise, Idaho with her husband, stepson and their dog and cat. 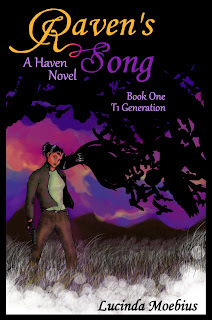 Lucinda is the author of Echoes of Savanna, a Haven Novel part of the Parent Generation and Raven’s Song, a Haven novel part of the T1 Generation. Find Lucinda online at http://www.lucindamoebius.com. Every generation has its defining moments, events that change history and turn the course of lives. Forever will the children of that generation be defined by those moments. 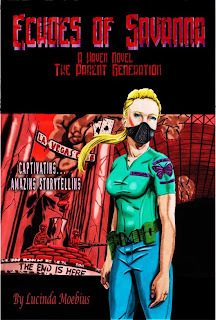 Savanna Taylor is a medical doctor in 2036, the same year terrorists release a series of plagues and viruses into the world. She is a nineteen year old Brain Trust whose task it is to find a cure for the diseases and develop vaccines to prevent their further spread. The world is thrown in turmoil and Savanna needs to find a way to survive with her sanity and family intact. She needs to find a safe Haven for herself and for those she loves. Can Savanna cope in a world in constant flux brought on by war and disease? Can she save the world and protect her loved ones or will she make the ultimate sacrifice? How will she be defined? The next generation has come into its own. Raven, Savanna’s impulsive, impetuous daughter has begun her own epic journey. Raven was born in a time of turmoil and war. She decides her calling in life is to be a soldier. Sacrificing the shelter and security of Haven, Raven puts herself at risk to save others. She finds herself in perilous situations and thrust into the role of leadership despite her own misgivings. The Siren’s Song of Haven is continuously singing to her. She could be safe, protected, sheltered and warm if she returned to Haven and its stone walls. But, is it her destiny to live in the walls of Haven, or is there another destiny in store for this child of Haven? I love the concept of a generational series, Lucinda! Very intriguing, and I can see where it would get readers hooked. Will Smith - he's awesome. I kept an article about him from EW a few years back where he says his success came from his father and the work ethic he instilled in Will at a young age. That spoke to me because I believe my parents instilled that same ethic in me, and I am eternally grateful.